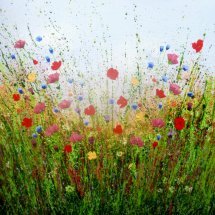 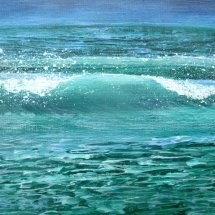 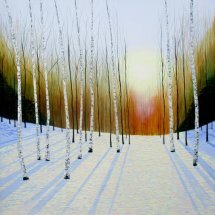 Acrylics on deep edged canvas. 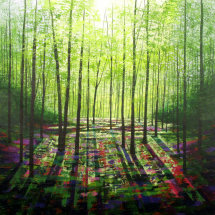 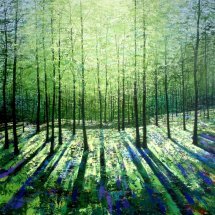 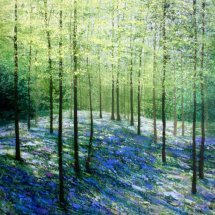 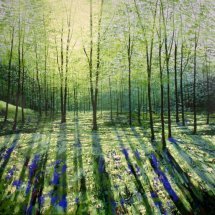 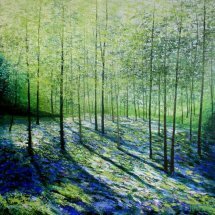 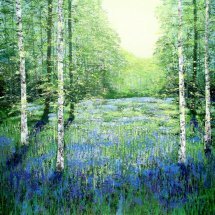 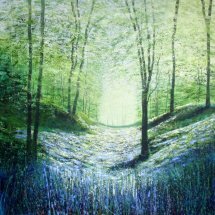 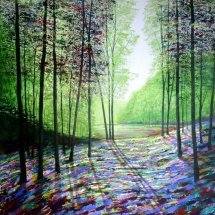 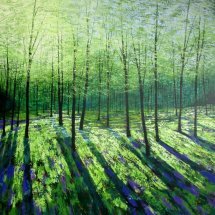 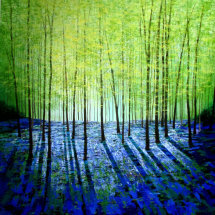 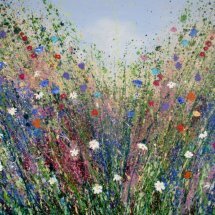 "Into a Shaded Wood" captures the beautiful woods early in Summer where sunlight filters through the leafy glade merging with blue flowers, crocuses and grasses. 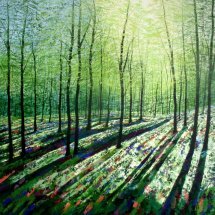 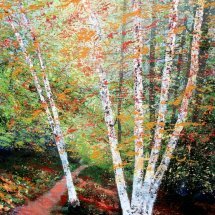 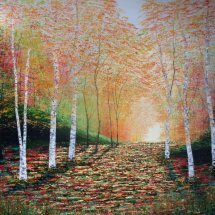 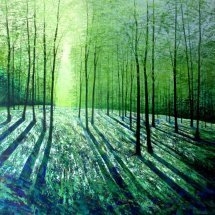 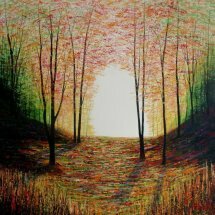 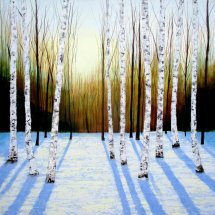 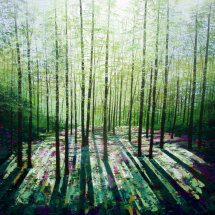 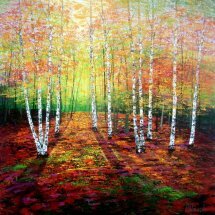 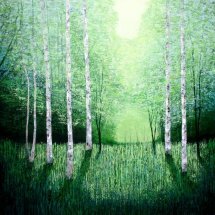 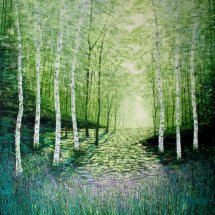 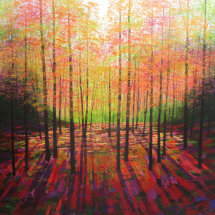 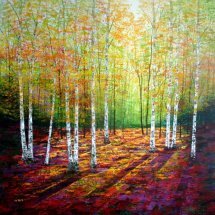 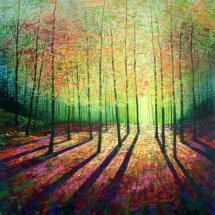 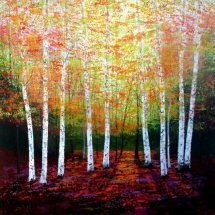 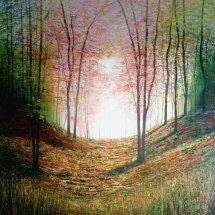 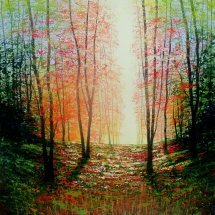 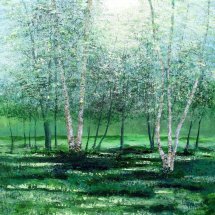 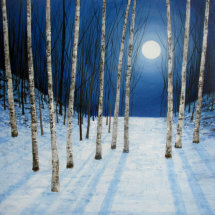 A narrative is created in that the viewer has a feeling of being able to walk through the dappled light towards the distant trees.